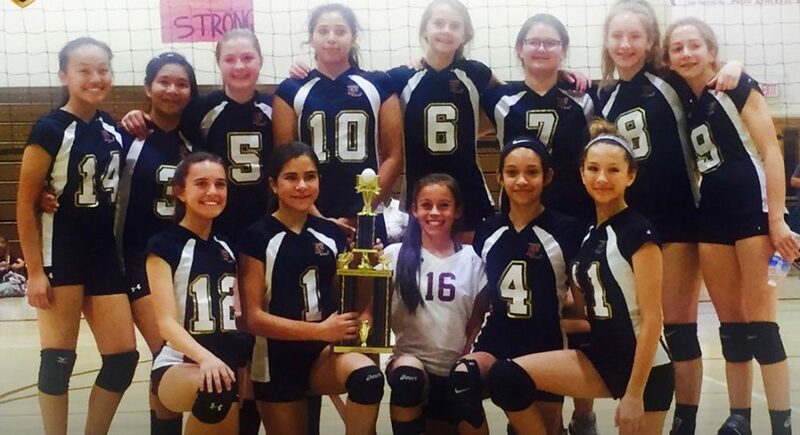 Just recently, the middle school A volleyball team beat Las Vegas Day School to win the championship. Although the MS volleyball team won last year This is still a big moment for our volleyball team. As athletes we need to train, practice, and prepare to increase in skill for big moments in the sport that we play. ” we prepared by practicing and we were practicing how to play against the Las Vegas Day School players,” said eighth grader Maggie Skinner. Lauren Tomita said,” we practiced every day and we also played against each other in practice to prepare for our game in the championship”. Players are constantly thinking about what will happen on the next play. Some of the players might have been in shock as they might have never won a championship in any event, sport, or competition and especially in a sport as big as volleyball this was a big moment for all of the players. ” I was very nervous because anything could have happened on that last play, but I believed that we would have won the game anyway,” said eighth grader Ruby Diaz. Ourselves and these athletes have all been in important situations or moments before. It could be an important game, a big show/play, or an important video game level. People celebrate in all kinds of ways after their big moment. Some of the players celebrated by: ” After the game we all came together and started cheering and we gave high fives to the other teams and then it was time for all of the pictures to be taken,” said Skinner. ” We were all jumping up and down and we were all overjoyed with excitement,” said Tomita. Many athletes around the world would call themselves the ” Dream Team” if they won a very big tournament. Let’s see if these players would say otherwise. ” Yes, because we all had great skill in volleyball and the whole team was good,” said Diaz. ” We had a really great team this year so I would say that since no team and no individual is perfect we had a great team this year,” said Skinner. Tomita said,” Yes definitely, because everyone on the team was really nice and everybody was super talented”.